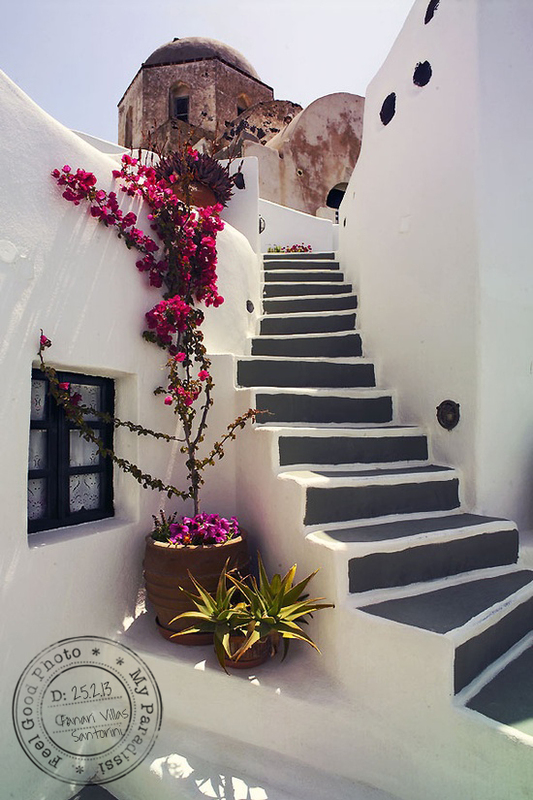 I'm in love with these steps, the small window and the blooming bougainvillea in a Santorini alley. Image via Fanari Villas via here. 5 comments on "Feel Good Photo 130225"
Oh, what a magical place! Thank you for sharing this lovely place with your readers. I've bookmarked the hotel in my 'Travel' Favorites as a place I would one day like to visit. In the meantime, I'll just sigh over the lovely photos on their website. You're welcome Traci. Just to let you know, I feel equally envy for beautiful places I post daily.. hopefully, we can make our surroundings as beautiful and enjoyable! Or, at least travel as much as we can to find beauty! Photos like this make me want to go to Greece SO BAD.